You don't need a lot of expensive equipment to get started in running. However, there are certain specialist products that can make your running more comfortable and enjoyable and it's good to have already used this gear in training and before you step out in your chosen event. It is important that you have suitable footwear for running. Most sports manufacturers have a range of specialist running footwear to suit different running styles. Why not visit your local specialist running retailer who should be able to analyse your running style and recommend the most suitable footwear for you? They should also be able to offer advice on many other aspects of your running such as local running routes, groups that meet regularly for runs, and much more. The right clothing can make your running a more comfortable experience. Sports manufacturers have developed specialist fabrics that provide "moisture management" - drawing moisture (sweat) away from the skin - to keep you relatively dry during your runs. Shorts and a t-shirt will suffice in most weather conditions. When it gets colder think about layering - perhaps a long sleeved t-shirt and a wind- or rain-proof jacket. Full length running tights are also an option. 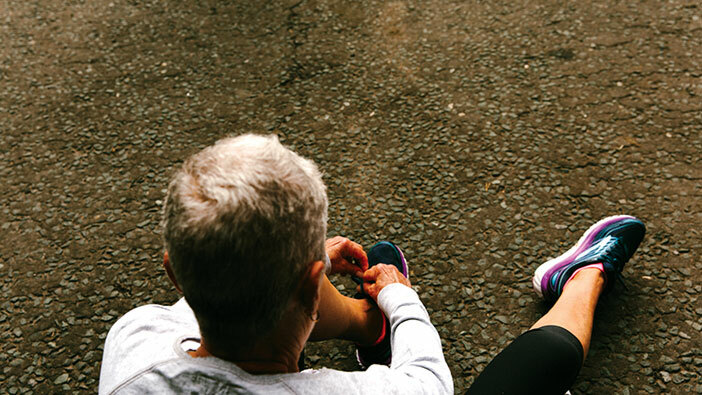 Your local specialist running retailer will have a range of products and will be able to offer advice and answers to any questions you may have. Sport specific eyewear offers protection from sun, wind and insects during training. Suitable sunglasses should be lightweight and should ideally have wrap around protection. Some also offer interchangeable lenses and a head hugging fit for maximum comfort. Sun screen is also important for sunny days, even when it's not so warm. Many people like to listen to music while they run. Remember that if you are listening to music you will be less aware of your surroundings and take extra care when crossing roads or paths to ensure that there are no cars or cyclists approaching.